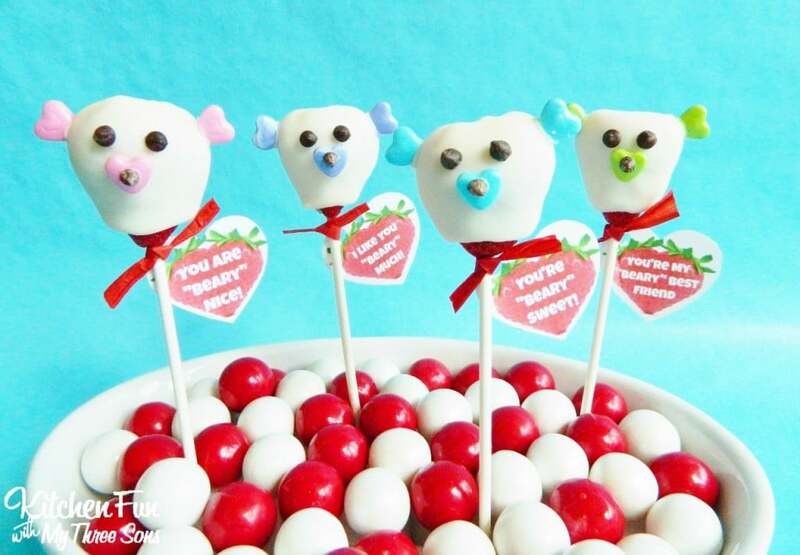 We created these fun Chocolate Covered Strawberry Bear Pops for Valentine’s Day. 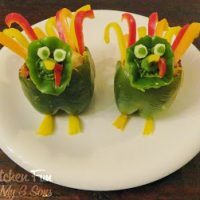 These take just minutes to decorate and we included some really cute printables to go with them! Heat up the white chocolate or candy coating according to the directions on the package. Cut off the leaves from the strawberry. 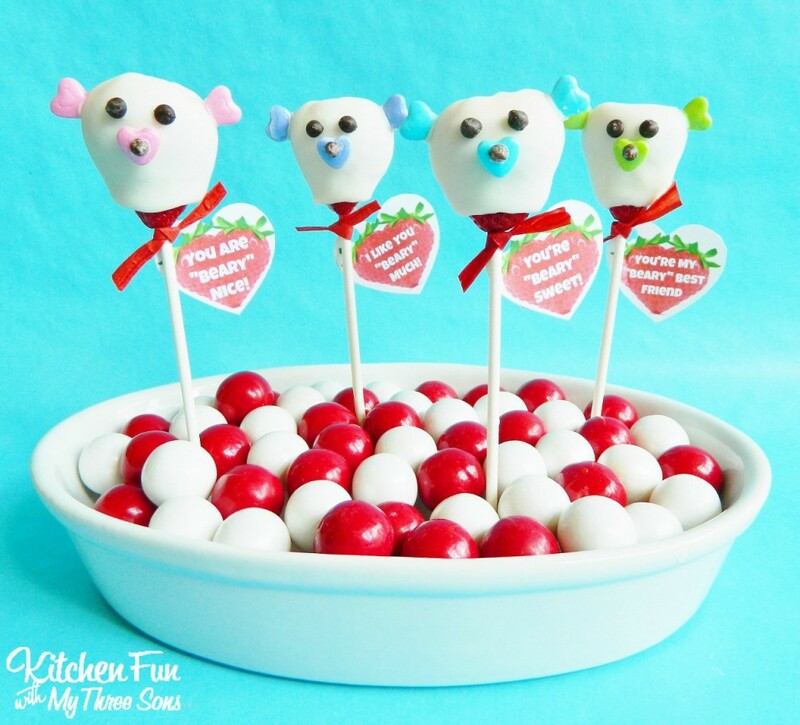 Poke the lollipop sticks in the tips of the strawberries. Dip the strawberries in the melted white chocolate. 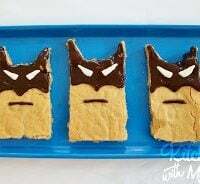 You can either stand them up in a piece of stryofoam or lay them down on wax paper to dry. Cut 2 slits in the top sides of the strawberry. Dip the tips of heart candies in the melted chocolate and press them in the slits. 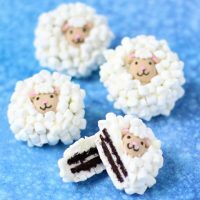 Attach on heart candies for the nose, mini chocolate chips for the eyes, and mini chocolate chips for the nose using a toothpick and the melted chocolate. 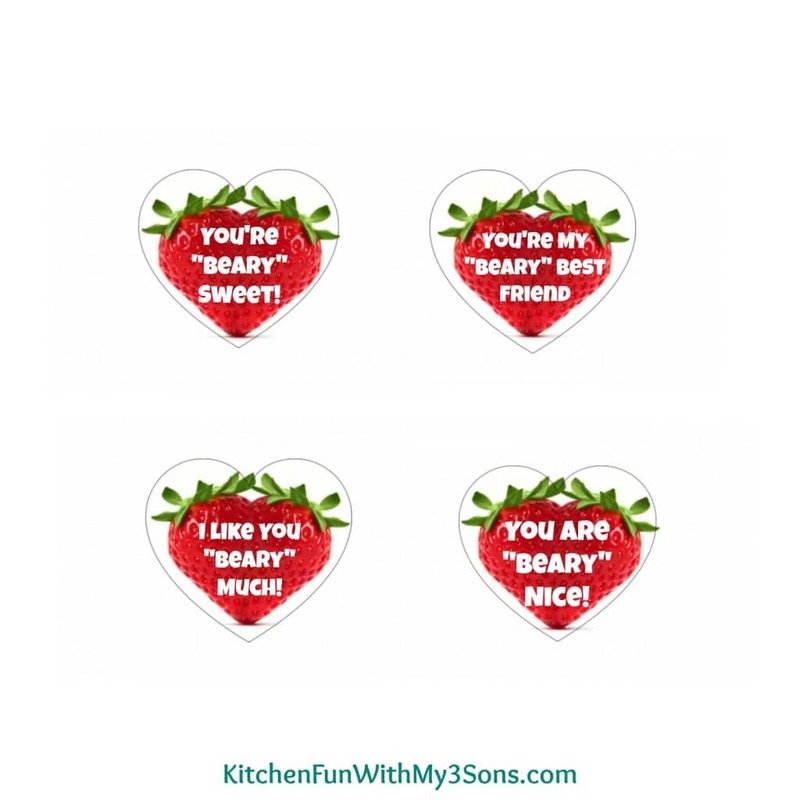 We came up with some cute printables to go with your fun berries saying….”You Are “Beary” Nice”, I Like You “Beary” Much, You’re “Beary” Sweet, and You’re My “Beary” Best Friend! Punch a hole in the top side and tie a red ribbon around the neck. Just save, print, and cut the hearts out! You can also wrap these in cellophane bags & add the printable to the outside for Valentine treats to hand out to the kids at school! 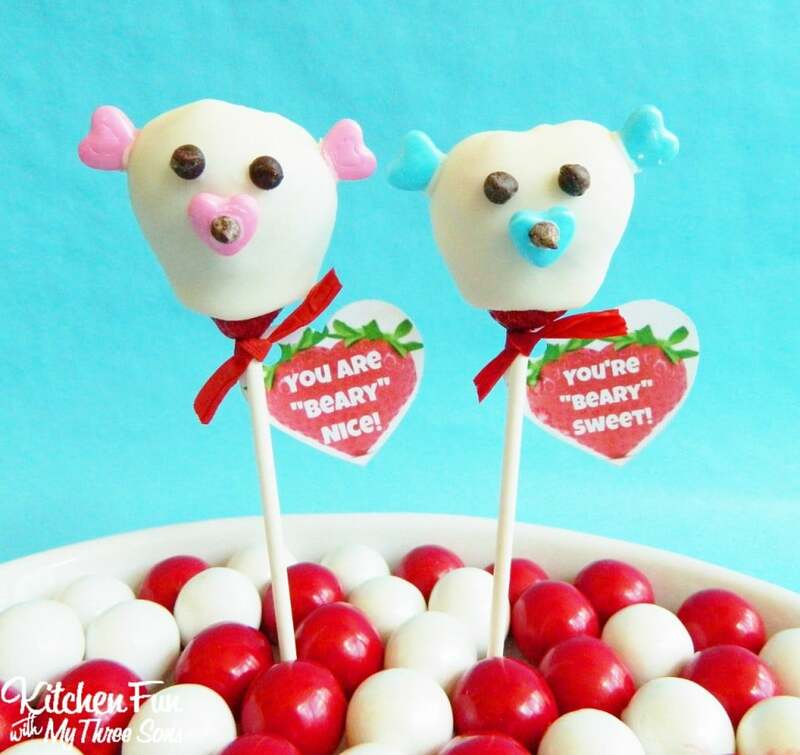 If you like our Valentine’s Day Chocolate Covered Strawberry Bear Pops…make sure to check out our other fun Valentine’s Day creations HERE! So beautiful. Lovely idea. Happy valentines day!